Maestro Kirk Muspratt celebrates his 10-year anniversary as conductor and music director of New Philharmonic (NP) with “The Ultimate Rebel – Ludwig Van!,” two exciting concerts at the renovated McAninch Arts Center (MAC) at 425 Fawell Blvd. 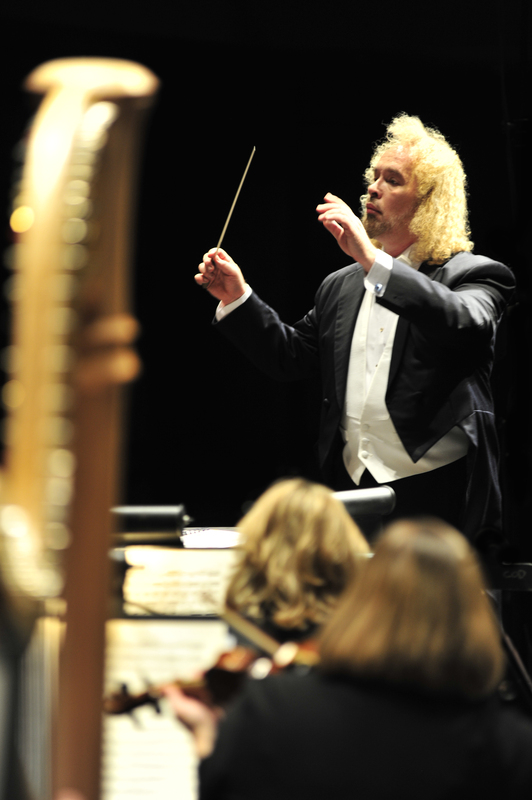 in Glen Ellyn, April 12 at 8 p.m. and April 13 at 3 p.m.
• Beethoven’s extremely popular Symphony No. 5, op. 67, in C minor featuring a universally recognizable opening four-note motif that has been often used in multiple pop music genres as well as in film and television. The program will also feature “Kirk’s Klassical Boot Kamp” where, with the help of musical excerpts and video clips, Muspratt will provide insight into the world of conducting. Tickets are $42 Adult / $40 Senior / $32 Youth. Parking is free. To order tickets, call 630.942.4000, or visit AtTheMAC.org. In accordance with NP’s mission to make classical music accessible for the next generation, NP is pleased to offer a special $10 ticket to kids age 15 and under for the Sunday, April 13, 3 p.m. matinee. (Ticket purchasers should mention code word KIDS when placing their order (by phone or in-person only).